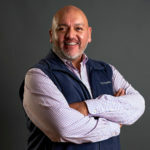 Prior to joining the Reviver/1608 team, Southern California native Roger Fregoso worked as Midwest Regional representative for independent start-up Big Loud, which earned a No. 1 record with Chris Lane. Prior to that, he worked at Curb Records handling special promotion projects following the label’s absorption of sister imprint Sidewalk Records, where Roger started his promotion career handling West Coast promotion duties.